Interior ministry spokesman Najib Danish says a brazen hours-long coordinated assault on a government building in the Afghan Capital of Kabul Monday has killed 29 people, most of them were employees of the department for martyrs and disabled persons. Another 23 people were wounded, including three policemen, he added. 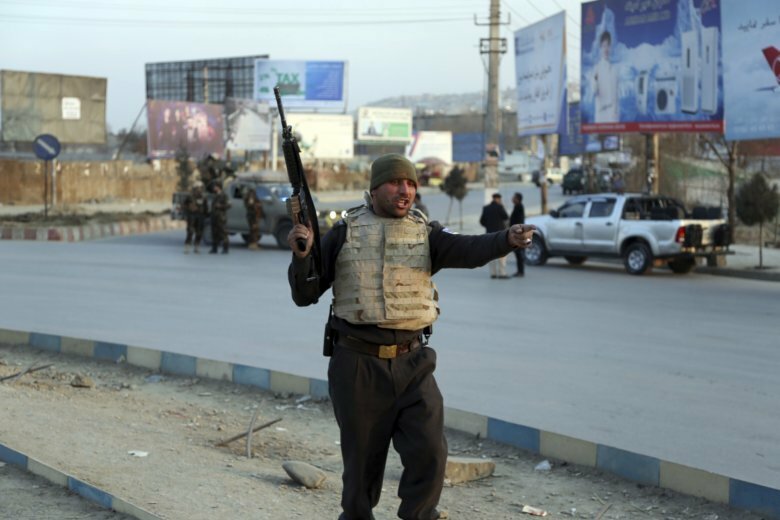 The assault began with a suicide bomber who blew up his explosives-laden car in front of the multi-story building in an eastern neighborhood of Kabul. Within minutes of the powerful explosion three gunmen, armed with assault rifles and explosive devises, stormed the building. For nearly eight hours they rampaged through the office complex terrorizing employees. Some of the employees managed to hide and police quickly evacuated 357 other employees, Danish said. Witnesses reported hearing at least five explosions as police and gunmen traded fire. One of the dead was a police officer but the rest were civilians including two women. An Afghan official says a suicide bomber exploded his car outside a government department for martyrs and disabled persons before gunmen entered the building where they were battling local police. Four people were injured in the attack late Monday as workers were preparing to leave for the day, said Kabul police chief spokesman Basir Mujahid. Police have cordoned off the area in the east of the capital Kabul to gain control of the situation. Basir offered little information about the incident saying police were still at the scene.